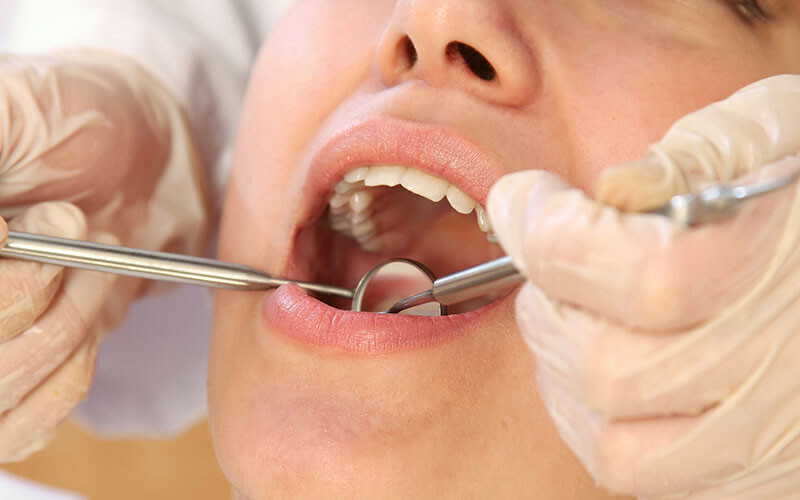 When ignored, gum disease can lead to bleeding gums and even having to have teeth removed. There are treatments that can begin at home to help lessen the damage that has been caused and prevent more damage from being done. Treating gum disease at home begins with proper hygiene techniques recommended by your dentist. These help restore the gums to a healthy state and often work to reverse the damage that has been done. These treatments not only help to treat the gum disease, but they can also be employed to help prevent gum disease from starting. An antibacterial mouthwash can work to treat gum disease by reducing bacteria found in the mouth that causes a buildup of plaque. These mouthwashes can be bought from any pharmacy and do not require a prescription. Regular flossing helps to prevent gum disease by removing any food that is left between the teeth. Flossing also helps to break down and remove any plaque that builds up between the teeth and under the gums. Regular brushing works by removing plaque from the surface of the teeth and the gums. When brushing is combined with the use of mouthwash and flossing, gum disease is kept to a minimum and can even be eliminated entirely. During a dental exam, your dentist will check for any signs of gum disease by checking the gums and the teeth for any sign of decay. For severe gum disease, your dentist may advise having teeth taken out or fillings where gum disease has affected the teeth. Antibiotics may be given to help fight the infection. Even if there is no sign of gum disease, your dentist will recommend a full cleaning. This will help to keep your teeth and your gums in a healthy condition, preventing any gum disease from occurring. Gum disease is easy to treat and easy to prevent. Combining treatments at home and from your dentist will help eliminate this common problem leaving your gums and teeth healthy and clean. Previous PostHow to Prevent Asthma AttacksNext Post Eating Disorders: What’s the Harm, Right?